Mihail Nikolov (Mobile Mechanic) - Garage/Vehicle Services based in Thames Ditton, Surrey. 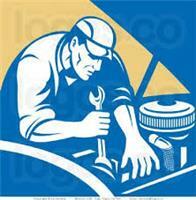 Mihail Nikolov (Mobile Mechanic) was established in March 2007. I'm a sole trader with 11 years experience. I am based in Thames Ditton in Surrey and willing to work within a 10 mile radius.